The UFC has found an opponent for Glover Teixeira on short notice. Officials announced Friday that Karl Roberson has agreed to step in for an injured Ion Cutelaba to fight Teixeira in a light heavyweight bout on Jan. 19. The news was first reported by FloCombat shortly after Cutelaba confirmed his withdrawal from the UFC ‘s ESPN+ debut next Saturday, which will take place at Barclays Center in Brooklyn. 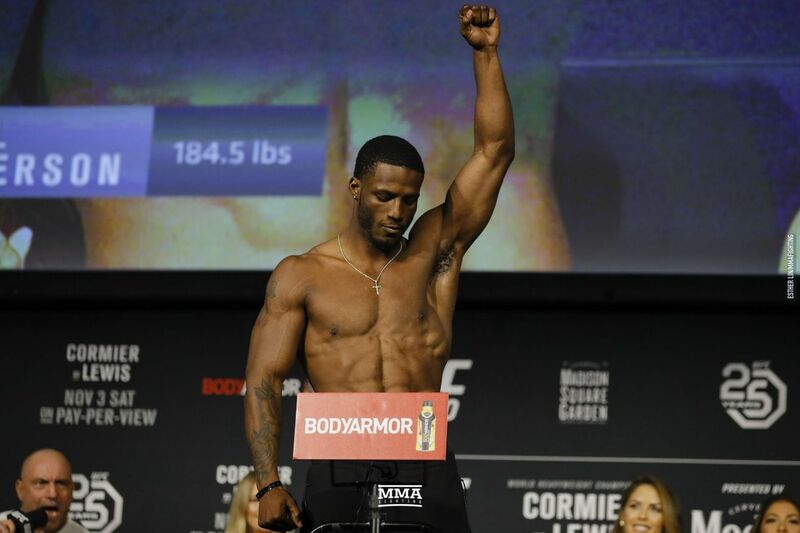 Roberson (7-1) last fought at UFC 230 in November, defeating Jack Marshman via unanimous decision to win his second fight in three Octagon appearances, all at middleweight. “Baby K” debuted with the promotion in November 2017 after a 15-second KO of Ryan Spann on Dana White’s Tuesday Night Contender Series earned him a UFC contract. With just over a week to prepare, Roberson will return to the 205-pound division to face Teixeira. A one-time light heavyweight title challenger, Teixeira (27-7) has alternated wins and losses in his past six bouts. The 39-year-old Brazilian dropped a unanimous decision to Corey Anderson in his most recent fight this past July at UFC Hamburg, his only outing of 2018.